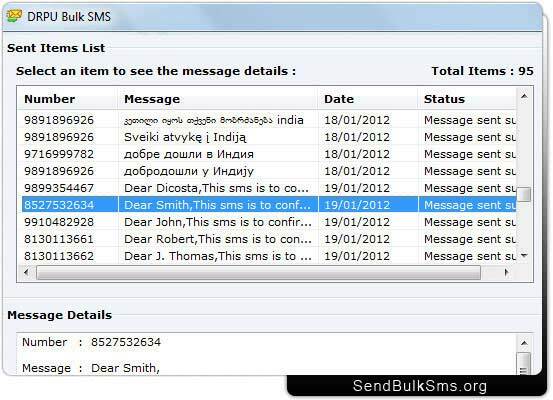 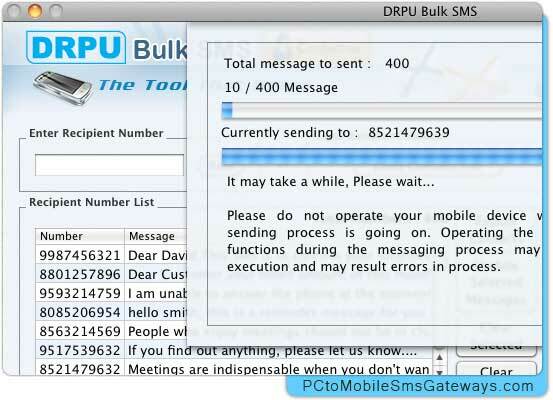 Description: Standard text sms delivering application available at company website www.sendbulksms.org offers easiest way to Send Bulk SMS from Mobile composed in different Unicode supported languages. 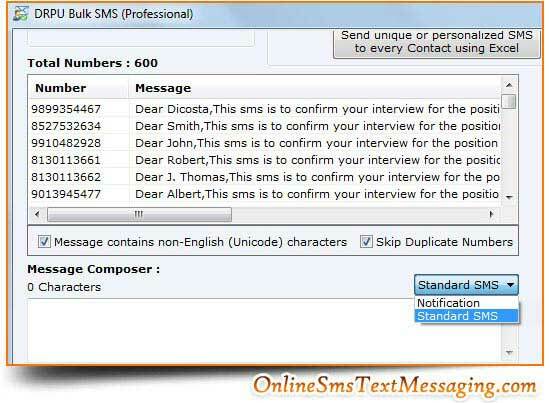 Effective text forwarding application requires no internet connection while sending bulk sms. 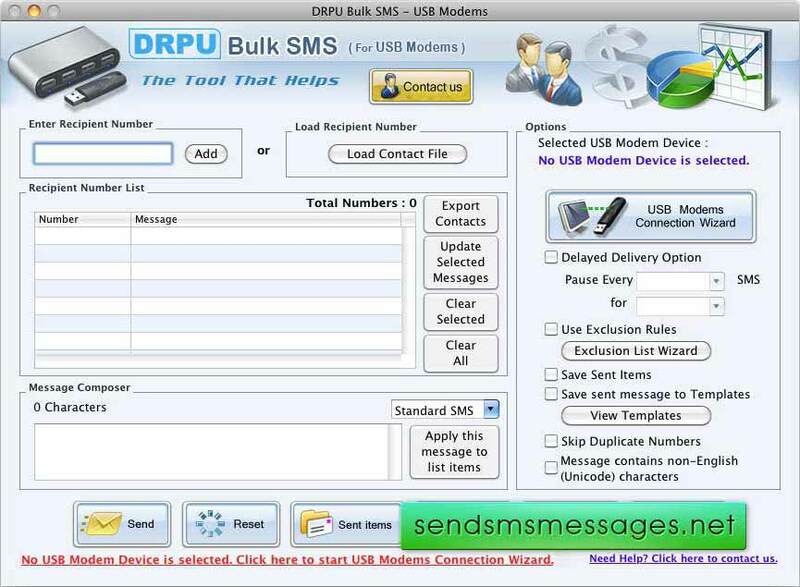 Description: Download easy to handle and technical Mac Modem Bulk SMS Software from www.sendsmsmessages.net website to broadcast invitations and emergency alerts to all mobile phone users from computer or laptop using USB Modem without requiring any internet connection.